Compared to commercial airlines, private jet is the best way to travel. With private jet charter, you don’t need to be at the airport 2 hours earlier before your flight, have a long waiting process and queuing. All you are required to do is avail yourself at the runway about 30 minutes before your flight, you will be welcomed with a smile, get personal attention, your bags will be loaded and you get straight onto the aircraft. Other than that, there are other reasons why you should consider hiring a private jet instead of using commercial airlines. As the saying goes, “time is money” and whether you are on vacation, you have a business meeting or you have a deadline you need to meet, you will always want more of that time. When you choose to travel using a private jet, you are assured that you will have time on your side. The aircraft can never depart without you and it will leave when you are ready to go to your destination. Both commercial and private aircraft are subject to FAA regulations, but they are not equally safe. Private jet charter operators are audited by different third parties and rated according to various factors which include aircraft upkeep and maintenance, history of incidents, crew certification and experience. Wyvern and ARG/US are two highly ranked and recognized third party auditing agencies for private jet operators. When you fly on aircraft rated by these companies you can be sure that you are in good hands. Although this doesn’t apply more to everyday business people but public figures and celebrities, private jets will offer you the ability to travel without being noticed. You also don’t need to worry about other passengers with crying children or listening to music too loud. If you have a pet that you want to travel with using commercial airlines, it is treated as luggage. Some of the airlines will even transport your pet in the storage compartment which can get extremely cold at high altitudes. 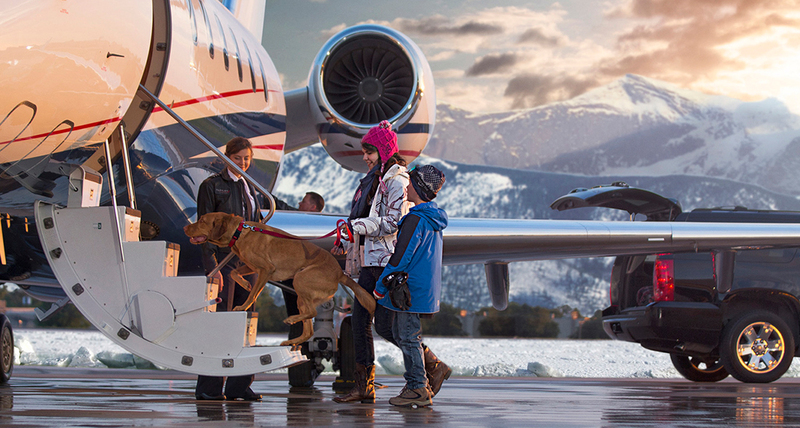 Contrary to when you charter a private jet since as long you get prior approval, your beloved pet can comfortably travel in the cabin with you. Although you may be asked for cleaning or deposit fee for your pet, it is without any doubt worth it. The above are some of the advantages hiring a private jet rather than using the commercial airlines. To learn more about traveling by private jet charter or for pricing; call or email Jet Partners today. This article was posted in Pet Friendly Flights, Private Jet Charters and tagged 2015, Charter Flights, Family, Luxury Travel, Saving Time on January 7, 2015 .